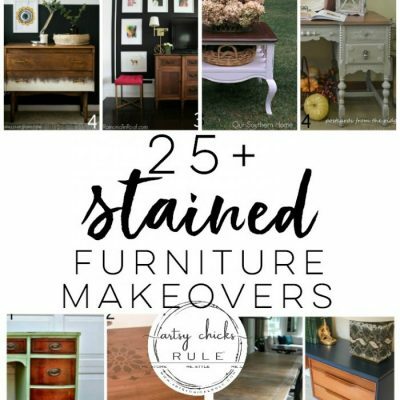 Today I’ve rounded up some more furniture makeovers…you can do. Other than the IKEA Ektorp furniture we bought recently, pretty much every piece of furniture we have in our home came from the thrift store, yard sale or an estate sale. 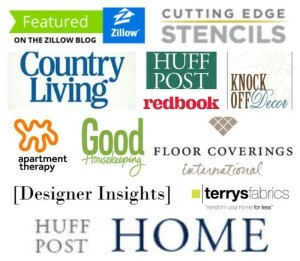 I’m going to share these makeovers and how I use or have used them in my home. I’ve also decorated with lots of thrifty home decor pieces too. 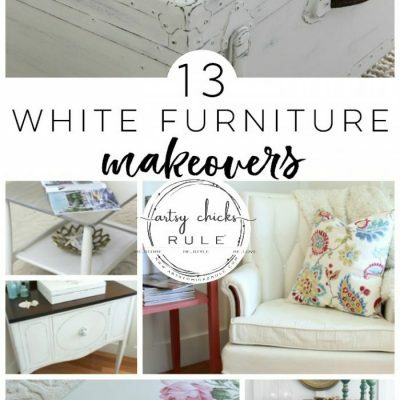 You can see some of them in my recent post, “20+ Thrift Store Makeovers For Your Home“. I picked up this old cabinet at the thrift store and brought it home to use for our cable box and equipment. It was perfect for that! 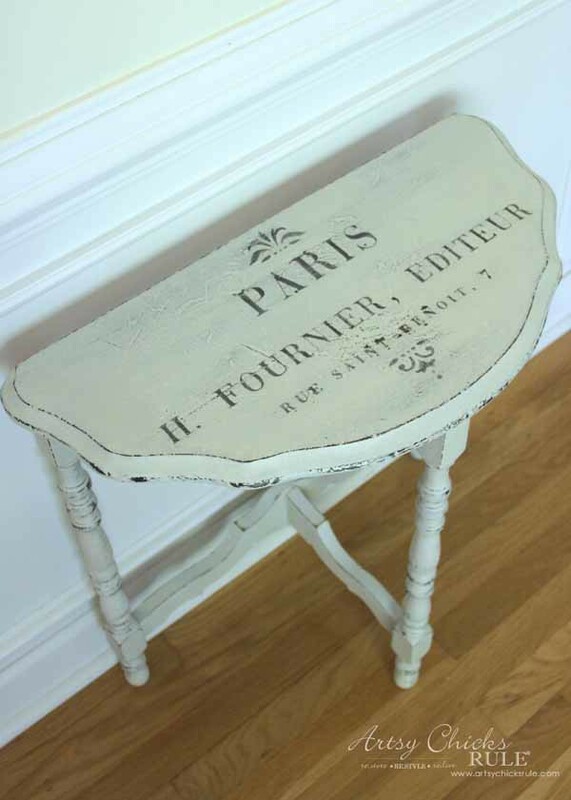 I painted it with Chalk Paint and added a French graphic to the front. 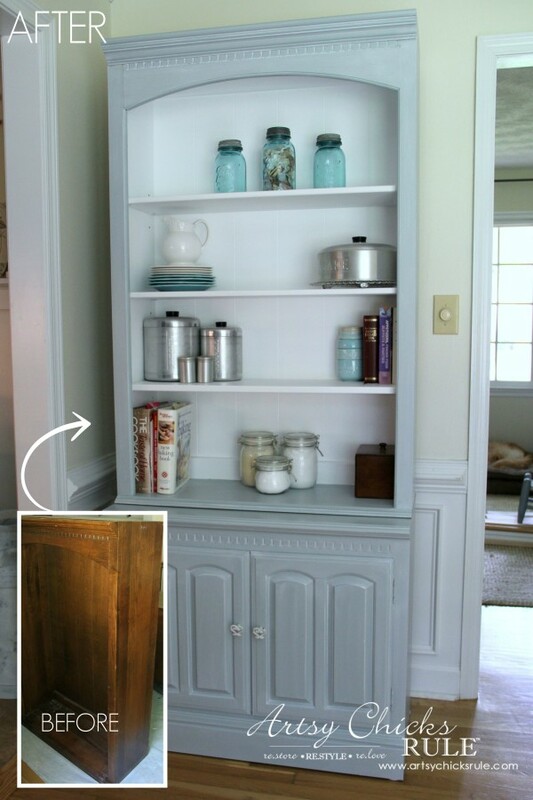 See the details on this French Cabinet, here. This was a little thrifty table I picked up that was missing it’s sides. 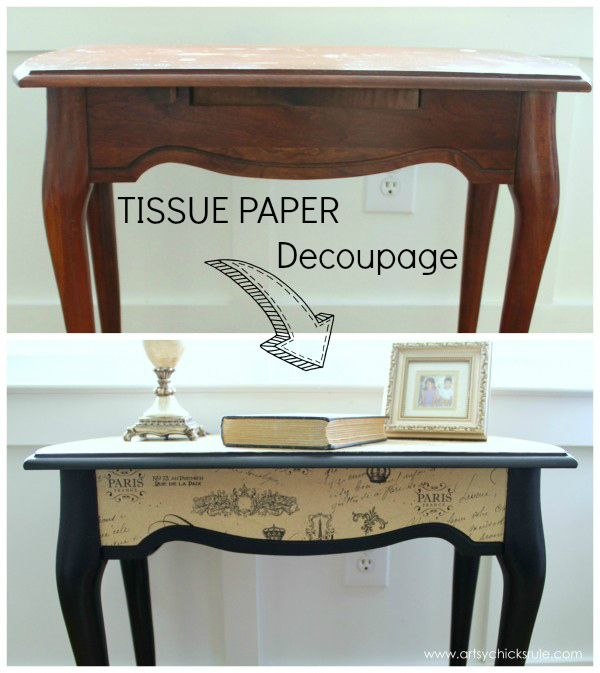 I filled in the holes on each side and added French tissue paper to the sides and top. 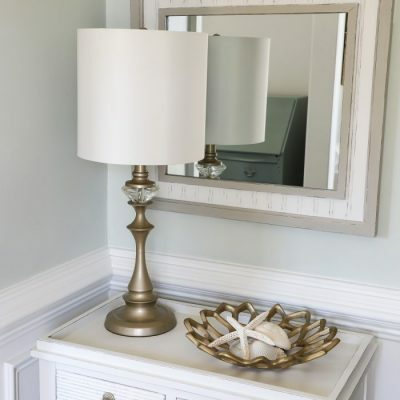 See all of the makeover details, here. Can you believe I only paid $6 for this solid wood table at the thrift store? I removed the black stain and noticed that really neat wood pattern and decided to keep it bare. I gave it a whitewash though and a few French graphics. A friend of mine now owns this table. See more of the makeover details, here. This little hand carved beauty was a steal! I was so thrilled to find it at the thrift store. But the poor thing was in SO much need of work. You’ll have to hop over and check out all that I had to end up doing to it. It was so worth it. I still use this in this exact spot. 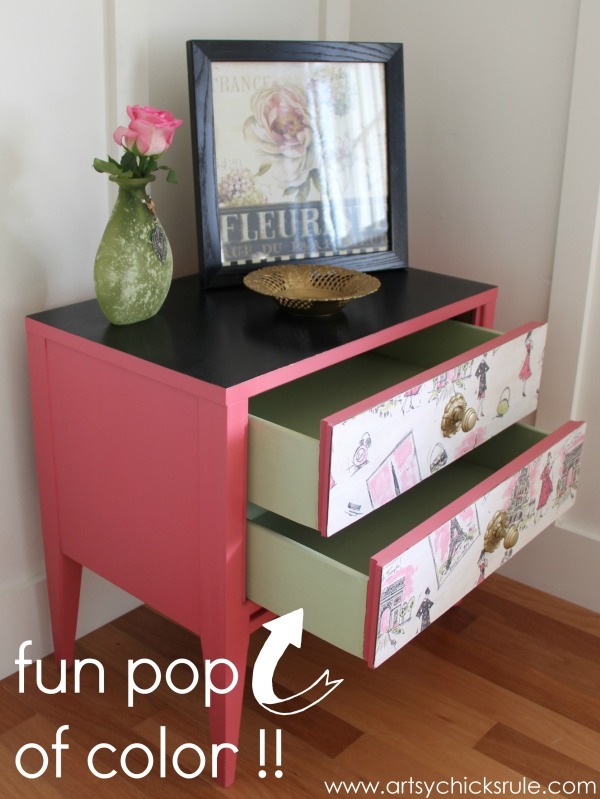 I used that pretty fabric you see to line the fronts of the drawers and painted the outside/inside to match. 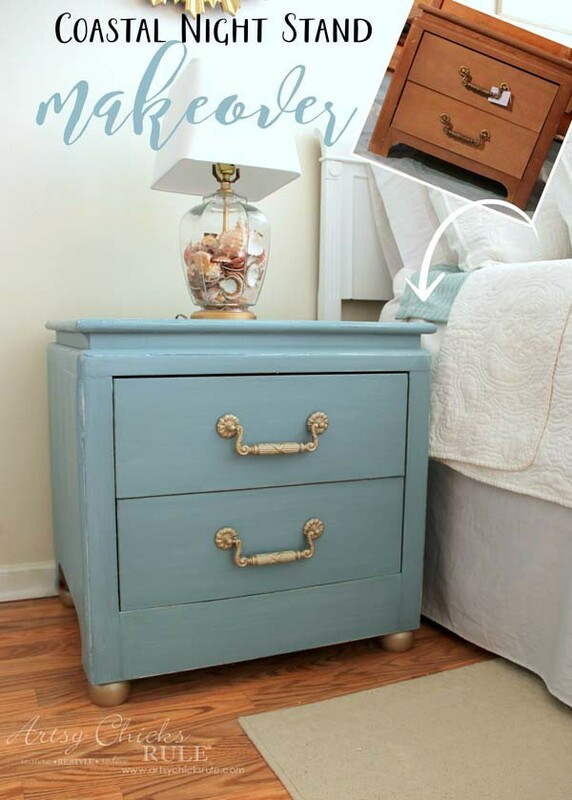 See all the makeover details, here. 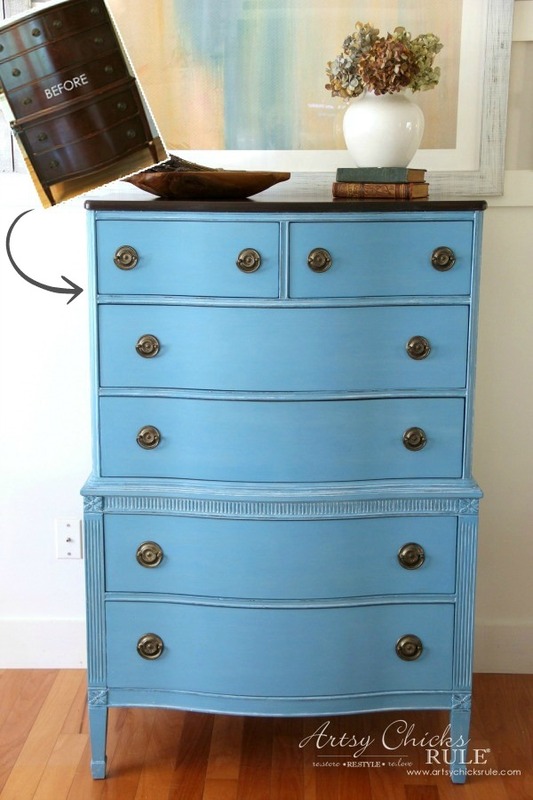 I kept the top wood on this one and painted the rest in Chalk Paint. See it and more details, here. That blue……sigh! Isn’t is luscious? I created it with a mix of two colors. And this dresser was SAD, by the way, when I found it at the thrift store. See it before, the paint details and more, here. I think I paid around $20 for this solid wood Ethan Allen piece. What a steal! I painted it a soft blue and gave it a white glaze finish. 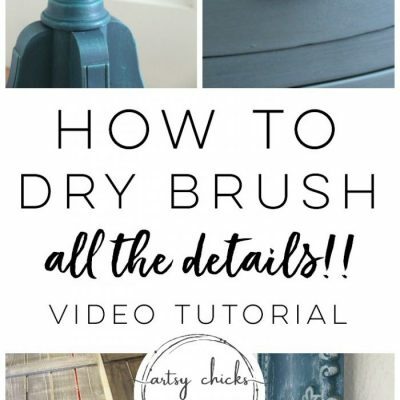 See the paint and makeover details, here. Can you even believe it’s the same chair? I still have and use this chair in my study. I picked it up at the ReStore for, I think, $ 35. See the makeover details, here. One of my very favorite pieces. I poured so much into it that I couldn’t let it go. It sits in the study and I use it for extra storage. I LOVE it! 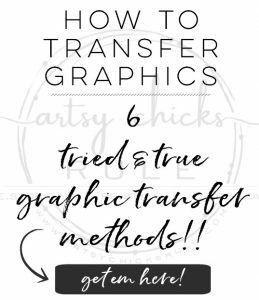 Get all the makeover details, here. 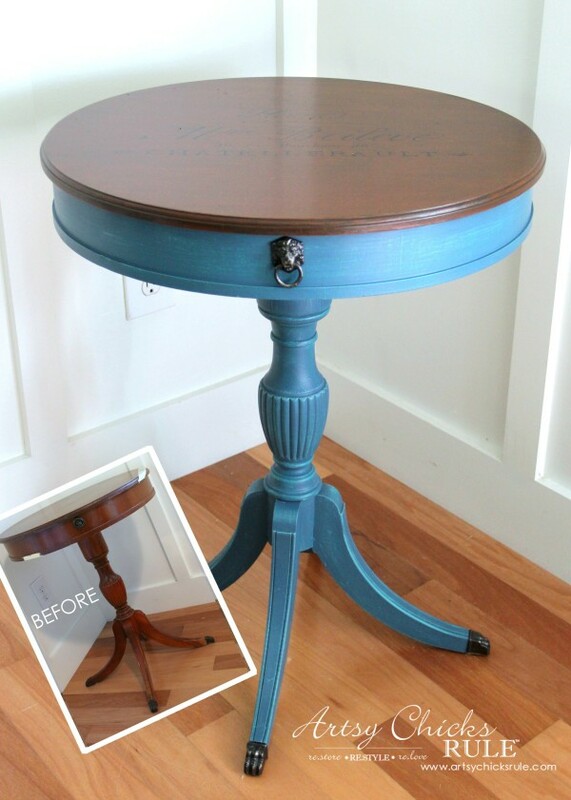 This gorgeous blue (several shades, I layered them) round French table was loved and used by use for awhile. I replaced it with the DIY Criss Cross Tables we made recently. See all the paint details (and French graphics on the top), here. This was an old bench that a friend gave me. 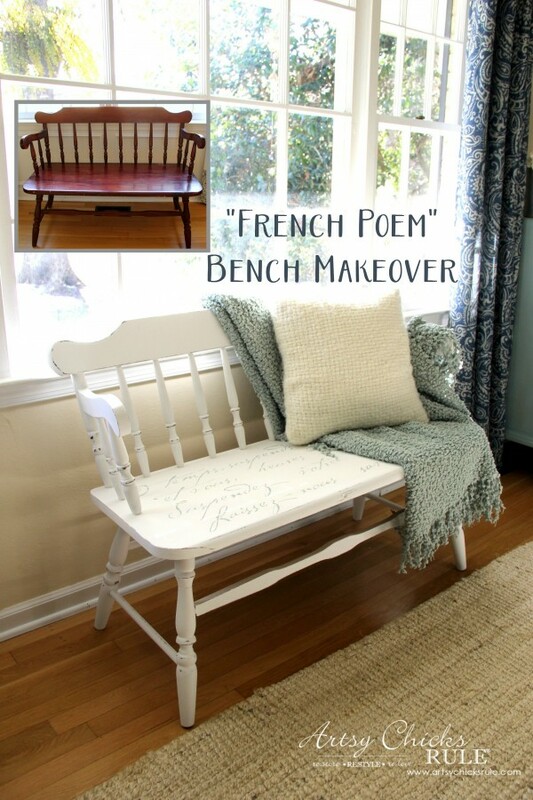 I gave it a lovely makeover with a French poem stencil (which was also gifted to me by a sweet reader here) and some Chalk Paint. I decided to keep it right here. Love it! 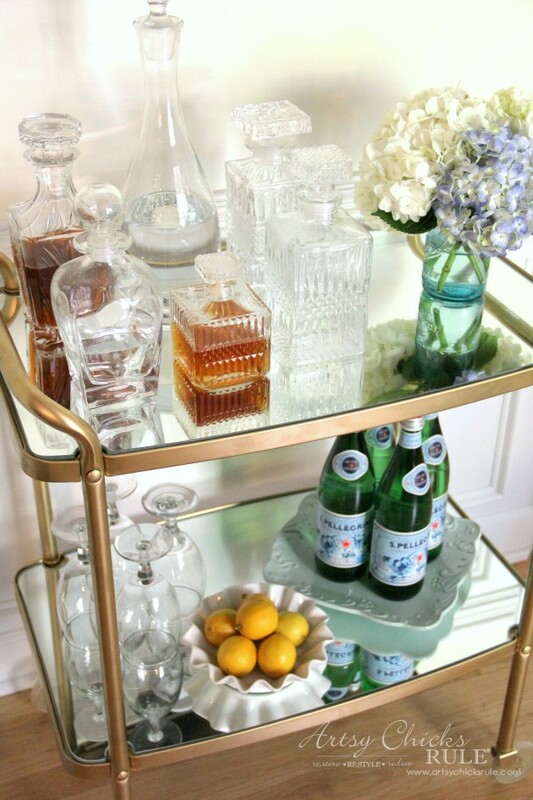 I adore this old beverage/bar cart I picked up at an estate sale. Do you know how pricey these things are? I think I paid $15 for it. I use it in my dining room just as you see it. See how it looked when I found it, and the makeover details, here. 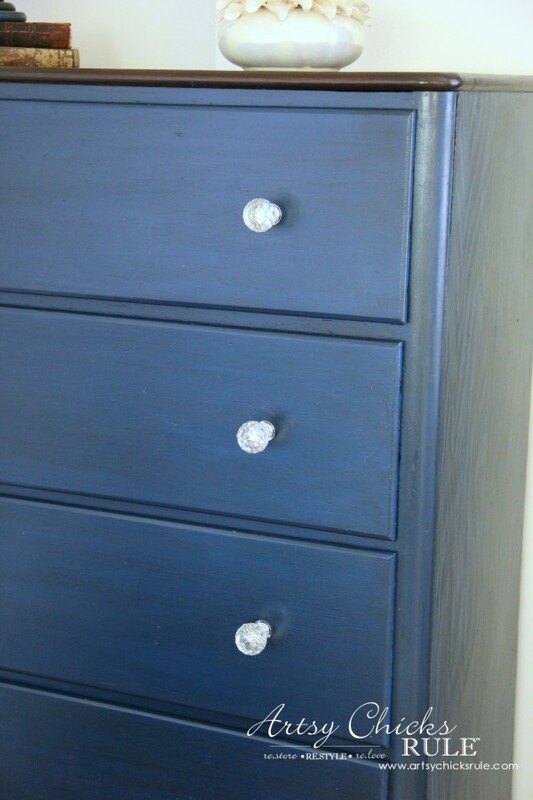 How about these thrift store nightstands that I gave not one, but two makeovers too? I painted them, added stencils and used them for a couple years. Then I decided to give our bedroom a makeover and gave them a brand new makeover. I also put the original pulls back on, added feet and changed the wood trim on the bottom. You can see what the looked like before, after the first makeover, and all the details on this makeover, here. 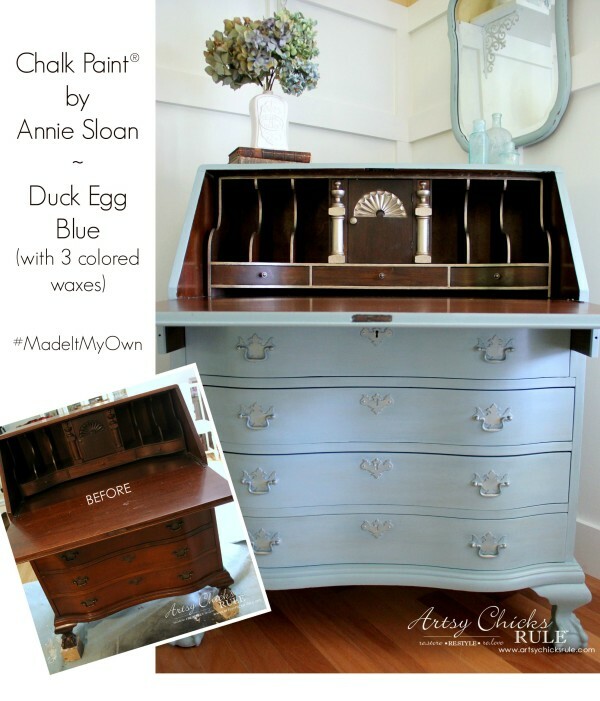 I used Amy Howard paint and her Dust of Ages on this one. See the makeovers details, here. 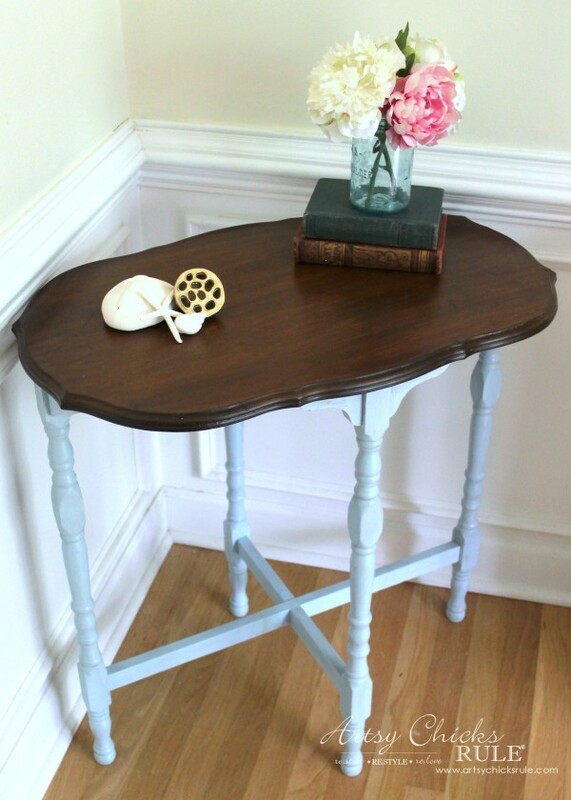 This was a really old table that I used Milk Paint on. 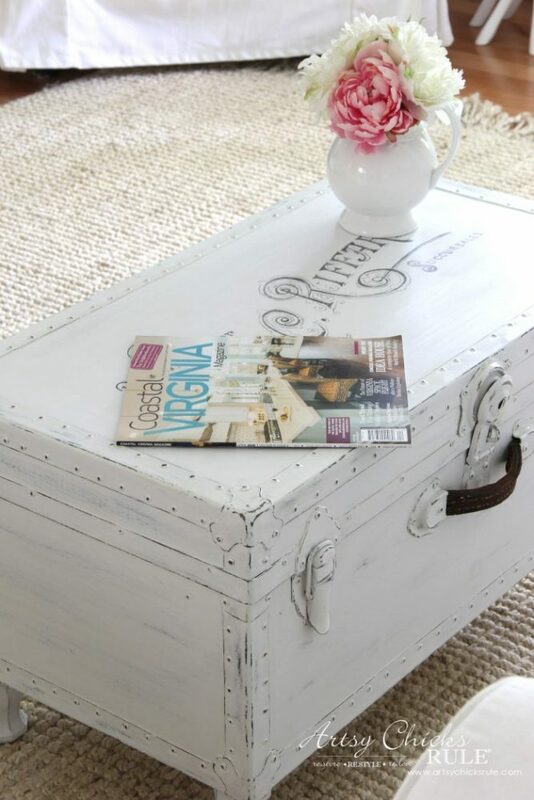 I love the distressed look the Milk Paint gave this one. Perfect. 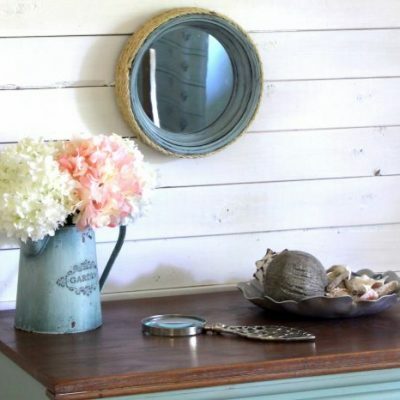 See the “before” and makeover details, here. I think this counts as furniture. 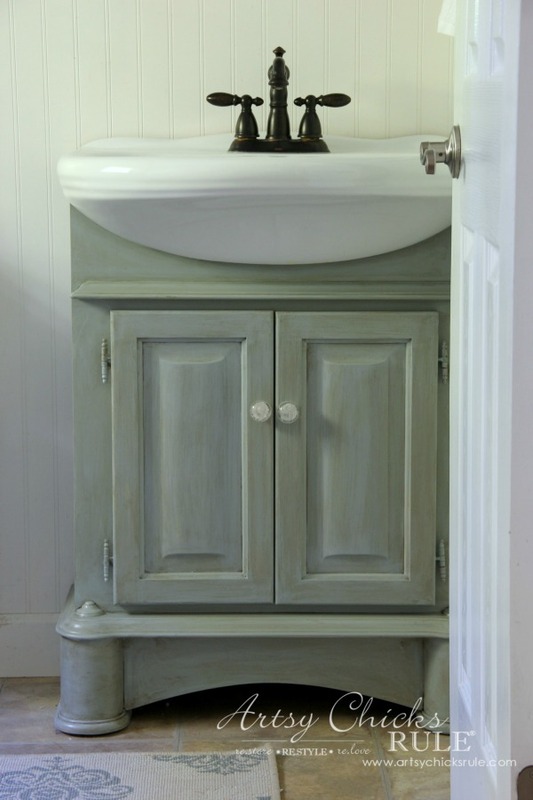 I gave my bath cabinet 2 makeovers since we first installed it. This was another one I hadn’t planned on keeping…but did. We use it in our master bedroom. Yep! And then I gave it the makeover it deserved. That color of oak was very popular for a long time so there is lots of it around. 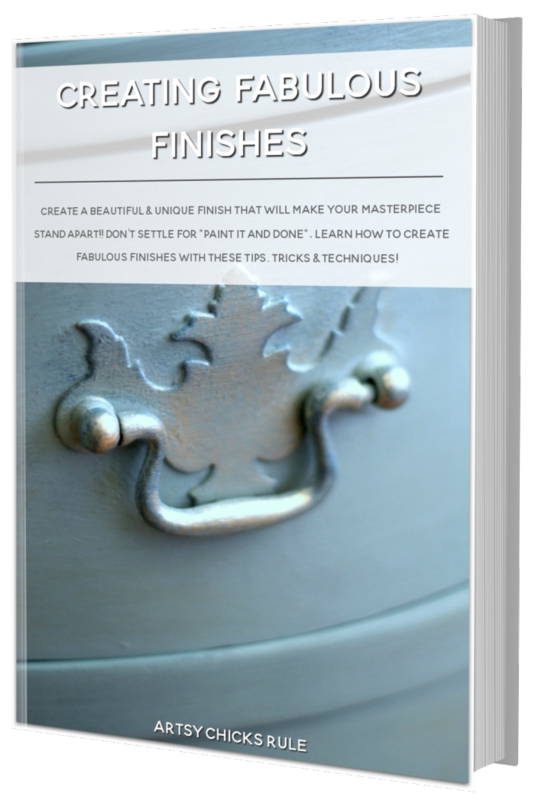 I painted the legs gray, added a white wash and gave the top a pretty, natural wood look with a bit of white wash too. $20 for a solid wood, very well made dresser? Seriously, you can’t beat that. You can decorate your entire home this way. This one came from Habitat ReStore. And lastly, my most recent “furniture” makeover. It was a funky, old trunk formerly. Now it’s a coffee table. 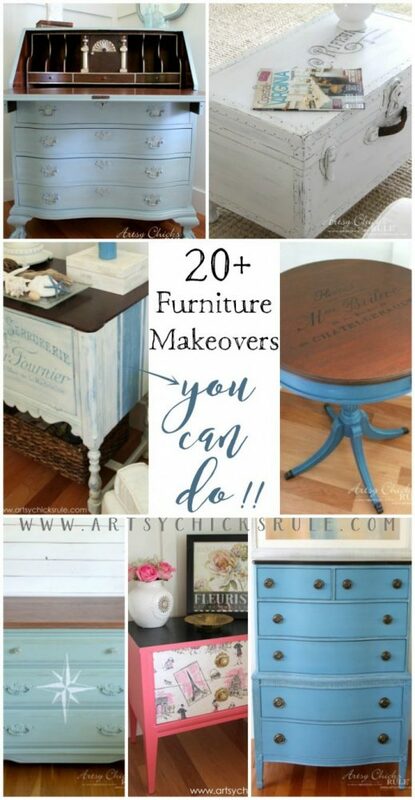 PIN these 20+ More Furniture Makeovers to save for later! 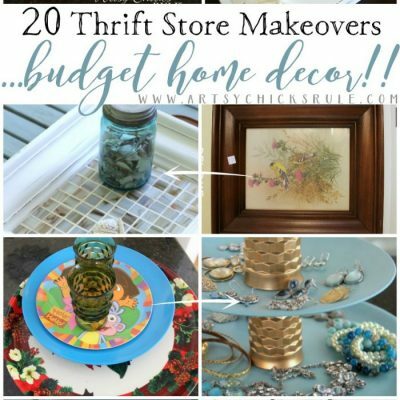 So, as you can see, you can decorate your entire home with thrifty finds. And I didn’t even share my “coffee bar” dresser, or my beloved Aubusson Blue dresser, or my armoire I use in my family room. Or maybe the cart on my screened porch and the outdoor table/chairs that were being thrown away. Or how about the dining room furniture that I’ve had for over 20 years now. I’ve decorated nearly my entire home this way. And I continue to redecorate it as my styles change, the same exact way. Why not? I love to save money. I do have a little splurge here and there, though. 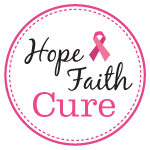 I hope you have gained some inspiration and decorating ideas. I love seeing you both commenting on each other’s blogs! 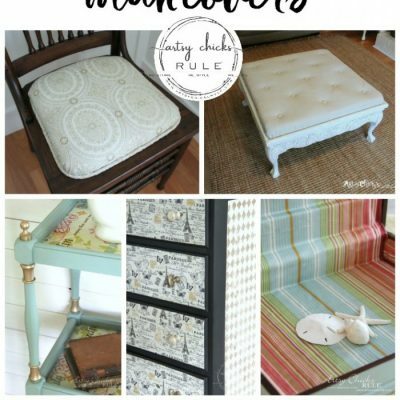 You two are my ‘go-to’ girls for any furniture makeover tips and tricks! 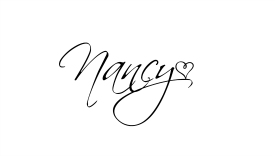 Ya’ll are a blessing… Thanks for this post, Nancy! I wanna come!!!! ;-) (Me being in So Cal may be an issue, though…. womp, womp). hey girl- love the makeovers! so cool! 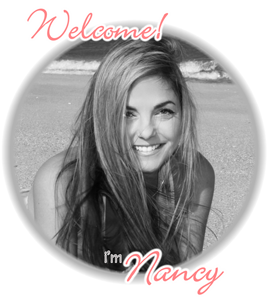 I remember most of these, Nancy and they are all stunning makeovers. You do such beautiful work! 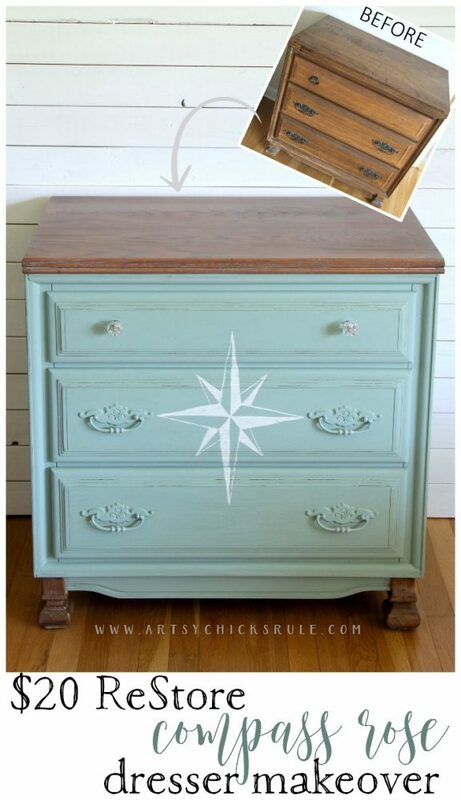 I am dying to find the printable of the graphic you used on the nautical dresser (posted in 2013) How can I find this? just discovered your website. 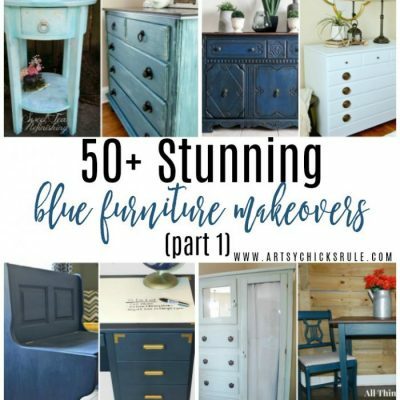 omg – looove all the furniture makeovers. right now i’m re-doing six dining room chairs from Restoration Hardware. SOOOO much work, but they are looking good. 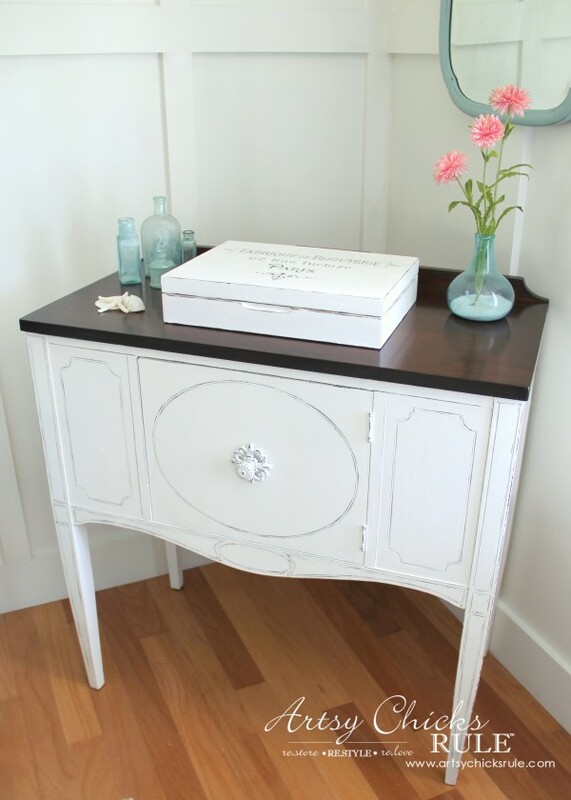 i have a mahogany flamefront sideboard that i would like to stain the weathered grey of the chairs. 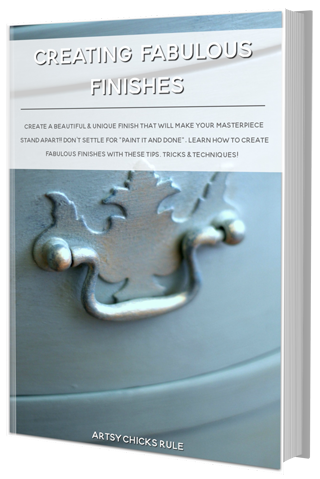 have you ever stained a piece so that the details of the wood would show? i’m so inspired by the sideboard (?) 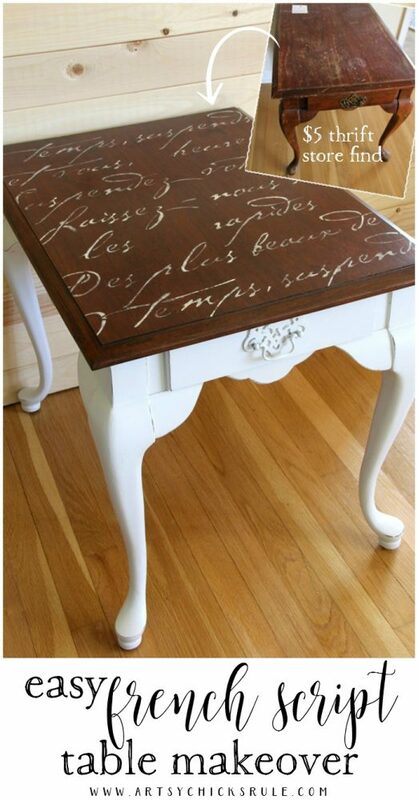 that you did with the chalk paint and the gel stained top.